3D racing game with top-down view. 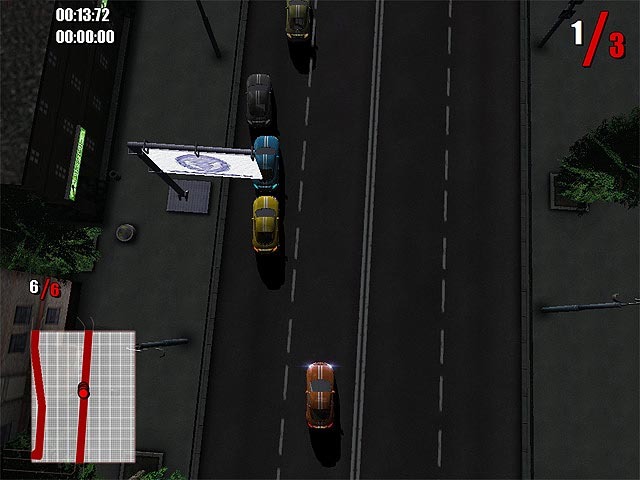 Race to victory in the world of street racing. Finish first in each race to participate in more competitions. Unlock a new car after every two races finished. Play in two game modes: single race and championship. In single race mode, you can pick any level that you have finished in championship mode.